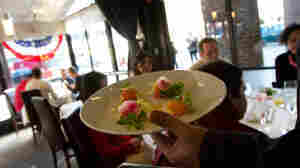 August 27, 2012  Reusuable take-out box service is the latest effort to "green" Portland's growing food truck scene. GO Box founder Laura Weiss estimates the year-old service has already prevented 10,000 disposable boxes from entering the waste stream. 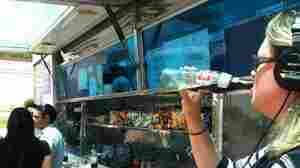 June 11, 2012  Food truck culture is developing its own lingo, with words like "ventrification" and "nonstaurant." And, just like the lingo started by restaurant workers and truckers, these words may be coming to a slang dictionary near you soon. 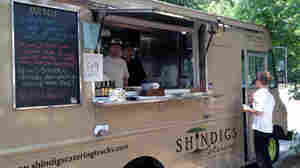 June 8, 2012  Southern food and culture expert John T. Edge sees the food truck craze as a great democratic portrait of America. His new cookbook highlights some of the most creative and cheap food cooked in trucks these days. May 30, 2012  Families that qualify for free and reduced school lunches can struggle to feed kids out of their own pockets all summer. But many kids can't - or won't - come to school for free summer meals. 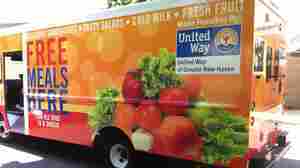 So some administrators are loading lunches on colorful, hip food trucks and bringing the meals to the kids. 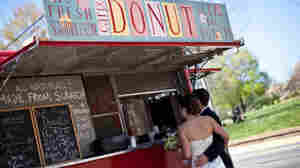 February 28, 2012  Food truck owners around the country are finding that catering events like weddings is an increasingly appealing alternative to braving downtown streets at lunchtime.